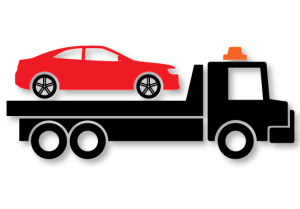 We have been serving Brooklyn, NY and the surrounding areas including Queens, Bronx, Manhattan & Staten Island for years now, and have built a reputation of reliable, professional and affordable towing services. We pride ourselves in providing In NYC the best towing service, so you can rest easy knowing you are in good hands! So whatever your needs may be, give Hook & Go Towing a call. Throughout the years we have worked with different companies, we have more than 15 years of experience and we have learned how to tow and service all kinds of customers. With more than 15 years of experience, Our Brooklyn Towing Company has been serving Brooklyn NY and the surrounding areas including Queens, Bronx, Manhattan & Staten Island. Our Brooklyn Towing Company has built a reputation and they pride themselves in providing professional, affordable and reliable towing services. Our Brooklyn Towing Company wants you to rest easy knowing that you’re in good hands when you deal with us! Throughout the years Our Brooklyn Towing Company has provided services for thousands of customers, and have mastered how to tow and service all kinds of situations. We would like to take this time to tell you about us. First and foremost we would like to ensure you that when we receive your call there will be a truck there within minutes. We want our customers to trust in our ETA (estimated time arrival). Our Brooklyn Towing Company can assist you in any predicament you might find yourself in. Whether it be a blocked driveway, a dead battery, a flat tire, or even a private property, Our Brooklyn Towing Company will be there for your needs. What if you locked your keys in your vehicle? Our Brooklyn Towing Company provides lock out services. Our Brooklyn Towing Company even provides FREE junk car removal. We are your one stop shop for all your towing needs. So whatever your needs, give Hook & Go Towing a call.